Are you planning to start a new blog or launch a website? Want to know the key differences between Drupal and WordPress? Both are excellent CMS and operate as free open-source format platforms. There are many different CMS and Blogging platforms out there to choose from. Some of the more popular platforms include Joomla, CMS Made Simple, Magento, and PrestaShop. For the purposes of this article, we will concentrate on comparing WordPress and Drupal. Here’s an overview of each platform and why Drupal may be a better choice, depending on how customized your needs are, as well as some questions to ask yourself before you choose a CMS platform. WordPress is excellent if you are a single blogger and need a basic system. It is also a good choice if you run a small business and just need an informative company website with access to social networking tools. It is easy to use and provides thousands of widgets and plug-in options. If you´re in the beginning phases of a small business and you have an interest in growing your content as your business grows, Drupal may be more efficient and better than WordPress in the long run. Drupal is superior in the overall management of complex page layout and multiple content streams. It is optimized for specific and customized needs such as building forums, multiple contact forms, complex data management, and sophisticated SEO integration. Drupal is more technical than WordPress and will require you to learn more. Understand what your content goals are and what CMS requirements you will need. Take the time to plan your short and long-term business goals up front. Choosing the best platform in the beginning will save you the headache and costs associated with switching platforms down the road. You will need to consider various types of contact forms to allow for feedback, guest posting, event scheduling, spam protection and social network sharing tools. What type of content would you like to develop – Instructional, informative? How do you want your content displayed (e.g., basic scrolling structure, multiple linked pages)? What specific tasks do you want to employ (e.g., information, transactions, data collection)? On a final note, as you develop content goals, other things to keep in mind for your chosen platform are Search Engine optimization (SEO), social network functions, web staff organization, mobile apps and globalization and Accessibilty. Regardless of which platform you choose, WordPress and Drupal are two fantastic options in the growing pool of CMS platforms. Which CMS platform you prefer to use? and Why? Please share your opinion in the comments section. Your opinion matters, unless it is a Spam. CMS Comparison: Drupal, Joomla and WordPress. How to Pick CMS for the Website? Sara Collins is a writer for NerdWallet, a personal finance site. NerdWallet helps users save money by keeping them informed about topics ranging from banking to affordable travel. With Drupal, are you able to replace a category permalink with a page URL? if not, it’s not even close… WordPress reigns supreme. Yes. 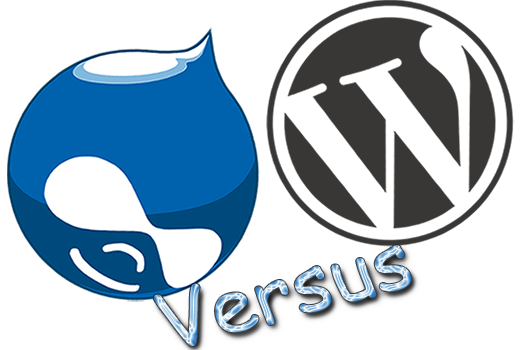 I agree that drupal is better than wordpress because drupal comes with a nearly limitless number of solutions to any given problem where as wordpress is a much more rigid affair. This can be a boon if you’re looking for a rapid solution to a problem. Can’t believe that someone who uses WordPress still recommend Drupal over WordPress. WordPress is matured enough to be CMS. If you´re in the beginning phases of a small business and you have an interest in growing your content as your business grows, Drupal may be more efficient and better than WordPress in the long run. Drupal is superior in the overall management of complex page layout and multiple content streams. It is optimized for specific and customized needs such as building forums, multiple contact forms, complex data management, and sophisticated SEO integration. 1. If I’m business owner, I’d rather choose WordPress as it’s much easier to use. 2. WordPress now has Custom Post Types and Custom Taxonomy – if you know well how to use them, you can turn a WordPress site into a CMS. 3. WordPress got BBPress but I’m not really sure if it’s the best. I believe there are plenty more options out there, especially like standalone CMSes primarily build for forum such as vBulletion etc. 4. Even Matt Cutt uses WordPress. 56 queries in 0.338 seconds.